Remove the rear seat center retractor side belt lower fastener. 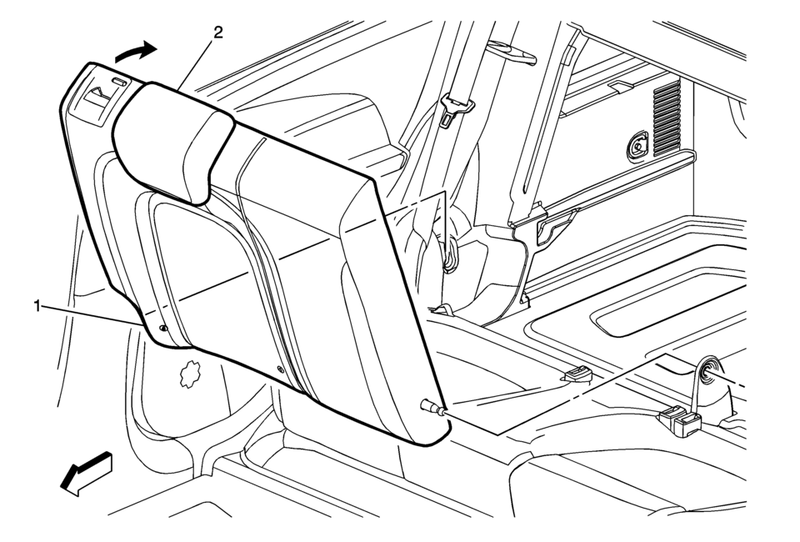 Refer to Rear Seat Center Shoulder Belt Replacement. Remove the rear seat back cushion 40% side. Remove the rear outboard shoulder belts from the shoulder belt bezel and position it out of the way. Push in on the rear seat back cushion pivot support, and release from bracket. Pull up on the outer side of the rear seat back cushion and remove the rear seat back cushion from the bracket and hinge.